Hi! Happy New Year - I hope 2019 is treating you well. I always find January, whilst motivating, quite a sad month... it's cold, dark and the festivities are over:( However, one of the great things about winter nights... cosy nights in! I love a good night in, so I thought I'd share today my Perfect Cosy Winter Night In, including the fun-nest and tastiest popcorn, my fav TV shows/films and the skincare products I swear by. I'm a HUGE TV show fan (I somehow managed to watch all of Friends in 1 month!! ), and for me there's nothing better than loading up Netflix, finding a great show and having a snack. 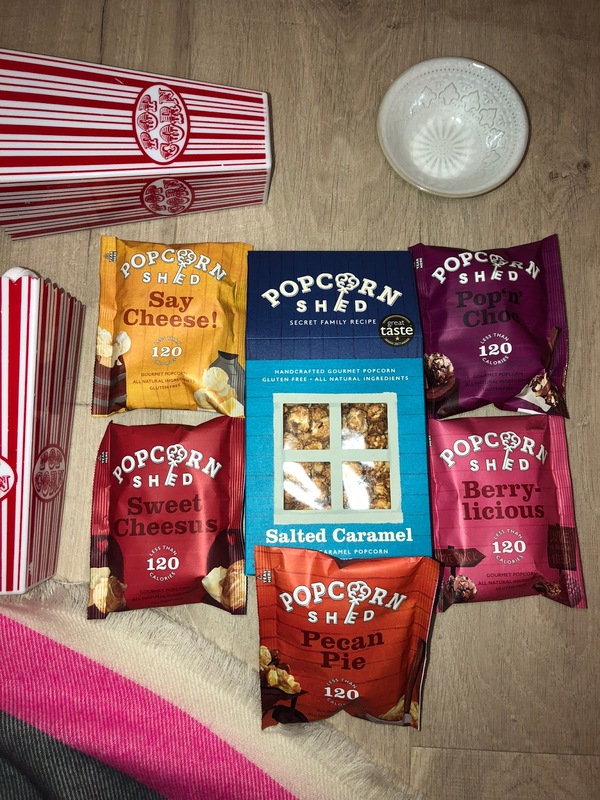 Popcorn Shed are a super cool brand which sell fun, quirky flavoured popcorn, like cheese, chocolate and cherry flavoured popcorn! My personal favourite flavour is the salted caramel (shame that it's also my mum's fave, as she eaten quite a lot of mine hehe!) These fun flavours are great for a laugh with your friends, a sleepover and movie nights in (I really want to do a blind taste test with them! ), and they taste amazing. You can get their popcorn in loads of well-known retailers like Amazon, Homesense, Co-op, Ocado, Superdrug, Harrods etc, so check them out! My favourite Netflix shows of all-time are Friends, How I Met Your Mother, Brooklyn 99 and The Good Place.. if you're a fan of sitcoms I highly recommend all of these - they're all so hilarious! I've just finished Alexa and Katie which is a tween show on Netflix, and it's so cute, light-hearted and funny... it really takes me back to the Disney Channel days! 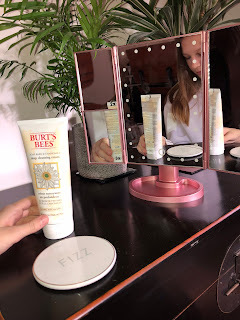 I love doing a thorough skincare routine, but most days I just forget! For my perfect winter night in though, I would really go full-out with the skincare - moisturise, exfoliate, cleanse, face mask, spot zap, face spray etc etc! 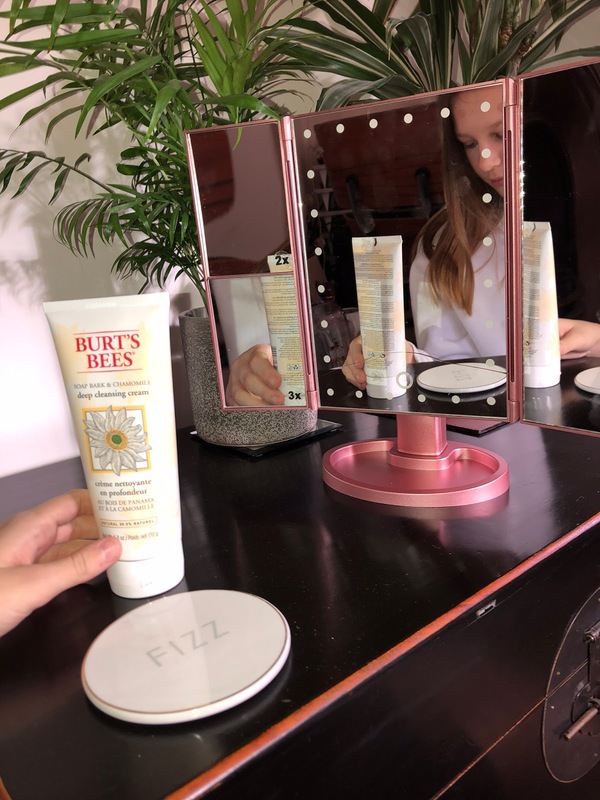 I recently bought a new cleanser - the Burt's Bees deep cleansing cream - and I'm in love! I have quite sensitive skin, but it doesn't affect me at all and after using it my face feels so fresh and clear!! The other skincare product I swear by is the Mario Badescu rosewater spray. I have really dry skin, especially in the winter, and this just helps hydrate and rejuvenate it. What are your go-to skincare products? This one's prettttty self-explanatory.... you can't go wrong with a classic bubble bath. I love treating myself to bath products, particularly from Lush, and there's nothing nicer than ending your day with a warm bath. Games night with my family! My fam and I love playing games together, so that has to be part of my perfect night in! We have loads of favourite games, but our top ones are probably Rat-a-tat-cat, Monopoly Empire, Cluedo and Tension! We also love classic good ol card games, like Rummy and 6-Card-Brag. I'm a huge reader, and always have been, but over the last year or so, I've felt like I've been reading less and less, so I've started setting aside more time to read in bed before I go to sleep, and I'm loving it! I'm currently reading Nine Perfect Strangers by Liane Moriarty and I'm in love! Will definitely do a review when I'm finished, so watch out for that. So those are my fave things to do on a perfect cosy winter night in! 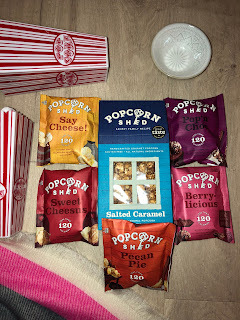 Thanks Popcorn Shed for sending me some of your delicious popcorn, my family are obsessed (especially my mum😉) What’s part of YOUR ideal night in?